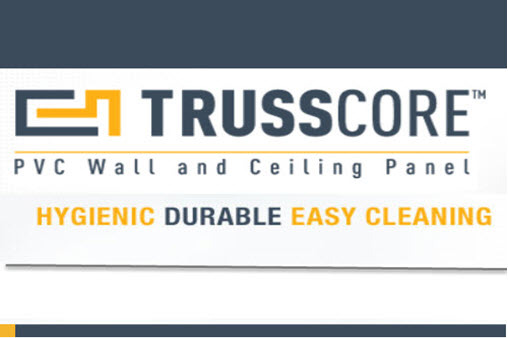 GTS Interior Supply now carries Trusscore™ PVC Interlocking Liner Panels at each of our yard locations. This product is useful for a variety of commercial settings including hydroponic grow rooms and commercial kitchens. It is available for will call pickup or on-time delivery to your jobsite. 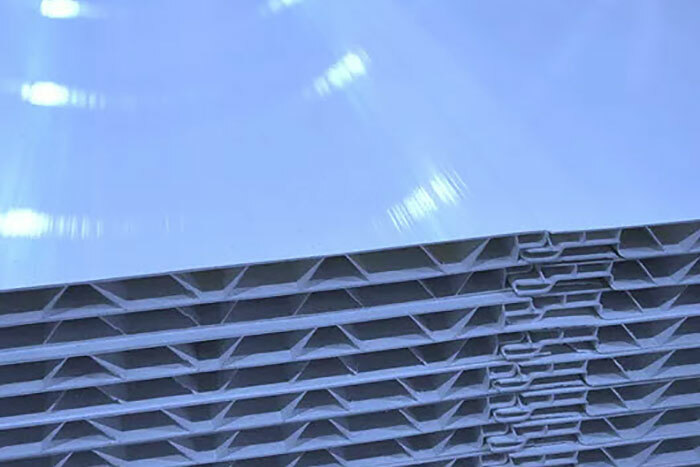 The Trusscore Interlocking Liner Panels are constructed of 100% virgin PVC. They are resistant to moisture and are also highly resistant to chemicals, making them an ideal replacement for conventional wall systems in settings that are subject to temperature extremes, routine abuse, or unusual exposure conditions such as water or chemicals. Ease of Installation – installs four times faster than traditional FRP board, reducing labor costs. Exceptional strength – the panels are ½” thick, and have an inner webbing plus an inner truss for extra stability. Versatile use – the liners can be used for both new construction projects and for retrofit. Selection of lengths – the panels come in both standard and custom lengths. 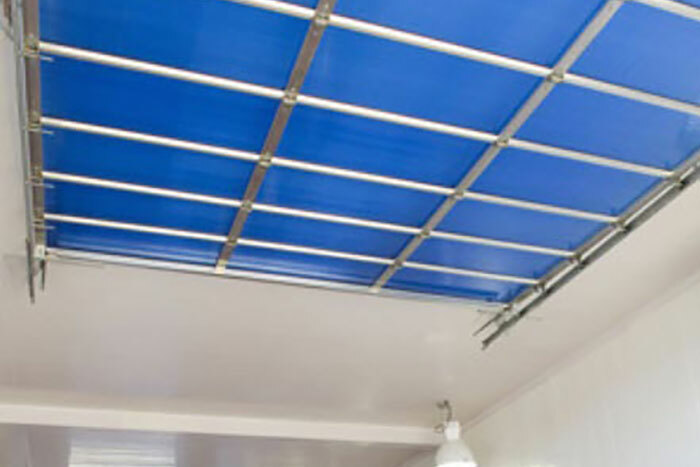 Durability – the panels are highly resistant to chemicals, they can withstand unusual hot or cold temperature conditions, and they are perfect for high traffic or high use areas. Hidden fasteners – the interlocking design allows the fasteners to be hidden beneath the panels for a seamless finish. Approved for use in food/health environments – the panels meet FDA, USDA and CFIA (Canada) standards for use in structures that must meet certain codes, such as food processing plants or healthcare facilities. If you’re interested in learning more about these products, please contact one of our local yards. GTS Interior Supply offers one of the largest inventories of construction supplies in the northwestern United States for both residential and commercial jobs, including drywall, insulation, steel, acoustical tile and a broad range of construction accessories and tools.